For the month of April, the Littleton Area Chamber of Commerce is pleased to showcase Interiors Green as its Featured Member. We met with owner Jessica Goldblatt, to learn more about what the shop has to offer. Located at the Pollyanna gateway on Main Street, Interiors Greens is celebrating one year in Littleton. Jessica first opened Interiors Green in Bethlehem in 2008 as a resource for people interested in “green” living and building, as well as eco-friendly products. Customers can expect to find natural home and living products such as paints, plaster, as well as gifts which are American made or fair trade. Interiors Green is located at 87 Main Street, Suite 2 in Littleton. Take a left at the bottom of the Pollyanna Gateway and you’ll find it! For more information, including hours, visit their website at http://www.interiorsgreen.com/home. The Littleton Area Chamber of Commerce is pleased to showcase the Littleton Opera House as its Featured Member of the month. 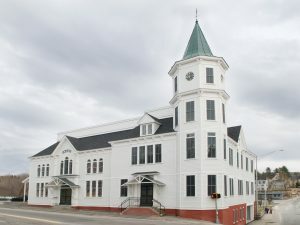 Standing tall and proud, the Opera House is a familiar staple to area residents. Though it sat idle for many years, you would never know it by the numerous events that have been hosted over the last few years. Large or small, the Opera House is suitable for almost anything. Along with plays and concerts, the Opera House hosts conferences, birthday parties, meetings, and even has several weddings on the horizon. The Chamber sat down with Opera House Manager, Sue Pilotte, to talk about services they provide to the community. To assist with the increase in bookings and workload, Jennifer Poulton was recently hired as an administrative assistant to work with Sue on a part-time basis. Sue has worked diligently, along with the Opera House commissioners and the Town Manager, to increase the usage of the Opera House. If the date you’re interested in isn’t available, Sue is happy to work with you on alternative dates. To learn more about what the Opera House has to offer, visit their website at www.littletonoperahouse.com or call Sue at 603.575.5324. The new owners of the Franconia Notch Guest House are this month’s Featured Member—a pair who have moved north and settled down to live the dream of running a North Country bed and breakfast. A business feature will be published the first week of each month exclusively in the Courier. It will then be subsequently shared through the Chamber’s social media and member communications. This month, we sat down with Thomas Shovlin of Adaptive Sports Partners of the North Country to learn more about this crucial non-profit organization. Founded in 2009 by a group of area rec and adaptive enthusiast, Adaptive Sports aims to enrich the quality of life for people with disabilities through year-round sport, recreation, and wellness. You can read the full feature here on the Courier website. Member Spotlight: Building Alternative Inc.
We recently sat down with Bob Tortorice, owner of Building Alternatives to learn more about his business, its history and the green energy and green building sector. Bob had some great answers to questions we posed about the importance of this industry and how he can be a resource for Chamber members and the community. What is Building Alternatives? How and when did the company get started? We started in February 1987. I built my home in 1980 and realized that the traditional (stick built) method of building a home was antiquated and wasted time and money. After working as a civil engineer for a modular home company in Nashua, my hands-on education, formal education and my desire to build an energy efficient home with a totally different business model, I started my company when the modular company moved to Florida. I was motivated to provide a “hand-holding experience” that specialized in understanding the client’s pros and cons of the land, budget, and their desires, with the overall commitment in building an energy efficient home. This was way before the wave of “Green Construction”. I like to say we were “green” when green was just a color. Building Alternatives Inc. was created to service the individual home owner and light commercial market that had the desire to be involved in the planning and decision making with hands on when possible in building an energy efficient building, but had very little knowledge or experience on how to achieve their desired results. Why do Green building practices and Energy Star certifications matter to home or commercial building owners? When building a “green home or business” the owner is striving to create a building that reduces or even eliminates their energy bills, while creating a place that is draft free, comfortable, and affordable to live in after they retire. Understanding and addressing the issues of Indoor Air Quality (IAQ) requires the builder to fully understand and address issues of building science. Energy Star Certifications guarantee that the home complies with the strict requirements developed by the Environmental Protection Agency (EPA). Typical energy costs in a green/energy efficient building can be 40 – 60% less than a standard NH energy code-built home. What services can you provide an existing home or business owner? New homes are easily designed to be energy efficient in comparison to existing homes. As a certified energy auditor, we conduct energy assessments, develop a plan, and oversee all installed insulation and methods of reduction in infiltration with a goal of reducing energy cost 25-60%. Installation of renewable energy such as solar for heat or electricity or geothermal can reduce the dependency on fossil fuel even more. Are their tax or other incentives to having a green or energy efficient home? Yes, all homes (new or remodeled) will qualify for some tax credits or rebates. A great resource for current incentives is http://www.dsireusa.org. Additionally, Eversource and New Hampshire Electric Co-Op clients are eligible for a new $4,000 cash rebate for achieving an energy start rating on the new or remodeled home. Tell us more about being a construction manager? Is that the same role as a general contractor? The end result is similar but the experience in building is totally different. The construction manager works as an agent for the home owner. All building technologies are explored and completely cost out, giving the owner true comparisons of cost. Pros and cons for each segment of construction is investigated in detail. Home owner is an intricate part of the construction process. The design and construction of an energy efficient home / building starts with the shell of the building, the location on the land and is driving by the quality of the framing and insulation. None of this cost the client any more money but makes the final product the best it can be, energy wise. All cost of every trade’s labor and material, as well as our profit and overhead, is clearly listed and all billing is based on the original cost for each construction segment, never billed for work not started. 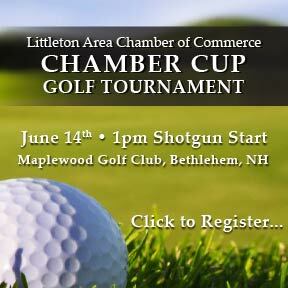 Is there anything else that the business and community members of the Littleton Area Chamber of Commerce should know about you, your business or the work that you do? We are approaching our 32nd Year in Business and have achieved designing and building with over 23 energy star homes listed under the EPA website. Always moving forward, over 12 years ago we became as a certified HERS, BPI, and National Green Building Standards (NGBS) raters, thus enabling us to act as consultants and energy experts. This certifies other builders that are remodeling or building new construction to Energy Star standards. Last year we started the national recognized NGBS certifications for multi-family apartment buildings and single family and commercial buildings which need the NGBS certification. Building Alternatives Inc. is under contract for three apartment buildings (45 apartments) which includes certifying not only the entire building, but also each apartment, lowering the operating cost for the owner and each renter.